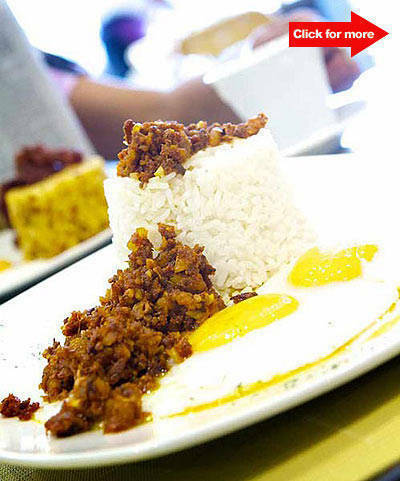 Pig out on <em>longganisa</em> and other Pinoy favorites at this new dining spot. 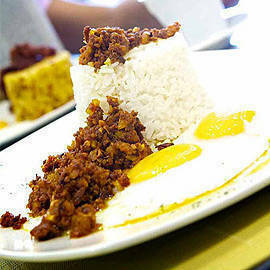 The house specialty: Zoricho with rice and eggs (P150). Click for more photos. Longganisa lovers will have a heyday at Zoricho Take Me Home, a casual family-dining spot in Silver City, Pasig. The restaurant's name, which is a mixed up version of the word chorizo, offers eight variants of longganisa sourced from provinces all over the Philippines. The house specialty, a delicious skinless version aptly named Zoricho, is present in 80 percent of the dishes on the menu. The all day breakfast dishes are bestsellers with filling plates of your choice of longganisa, two eggs, and rice (P150), and your choice of pinakurat, sukang iloko, sinamak, sukang bisaya, and quezon spicy vinegar for your longganisa. Other favorites include: the Zori Chori Burger (P160), a lean quarter-pound Zoricho patty served in a bun; Molo ni Lola (P120), the resturant’s take on the classic Ilonggo staple; Zoricho Wrap (P175), a burrito-inspired appetizer served with peppered mayo, sour cream, and picante sauces; Pasta Negrense (P190), an oil-based pasta tossed with bits of Zoricho; and the Bibingka Pancakes (P120); a brilliant combination of two old favorites served with a unique red egg-infused cream sauce-a must for first-timers. 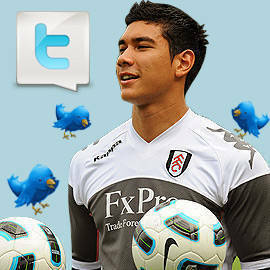 Not a longganisa fan? Go for the Tinapa Salad (P150), Adobo Sandwich (150), Crispy Bagnet (P300), or the to-die-for Crispy Tapa (P150), bacon-like tapa fried to a perfect crisp served with rice and two eggs. The best part: the restaurant also houses a mini deli that sells imported sausages, local coffee beans, tsokolate, Chef Philippe's bread, cheeses, plus a variety of homegrown longganisa.